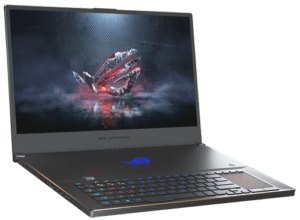 The Asus ROG Zephyrus S GX701 with an RTX 2080 Max-Q laptop is something similar to what we’ve covered in the past, but here’s an updated model. This happens to be the thinnest gaming laptop on the market. Asus has also been able to engineer a 17″ screen to fit on a 15″ chassis. Wait…what? Yes, a 17″ screen on a 15″ chassis. The GX701 has an NVIDIA RTX 2080 Max-Q, an i7-8750H, and weighs in at 5.9-pounds. How did they do that? Well, they have super thin bezels, and in addition to super thin bezels, it also has ditched the webcam. I’m not sure that this is something that every brand should do, but since this is on a device that’s clearly intended for gaming and gaming only, I’m pretty cool with it not having a webcam. They do include an external Bluetooth webcam that you can mount on top of the screen or beside you. However, the fact that it doesn’t have a webcam, gives it a very streamlined look with ultra clean lines. To have a 17″ screen on a 15″ footprint is pretty dope. Just above the WASD keys, Asus did add a volume rocker. It’s a small barrel spinning key that adjusts the volume accurately. It’s not something that every gaming laptop has, but when they are there they make for a better gaming experience. This basically gives you on-the-fly volume control while gaming and it won’t distract you too much from staying in the fight. The rest of the device hasn’t really changed much since last year. I’ve always enjoyed the shape and aesthetics of this laptop. It still has that lifting mechanism when you open the display to increase the cooling of the internals. Looking to sell laptop that’s broken or simply not serving your needs anymore? 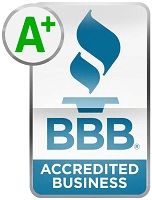 We buy variety or brands and models in any condition.